Of all the names I've ever been called, by far and away, my favorite is Daddy. A father is God's gift to every child, children need the very basics to grow into fine youth just give them all the Love you can. 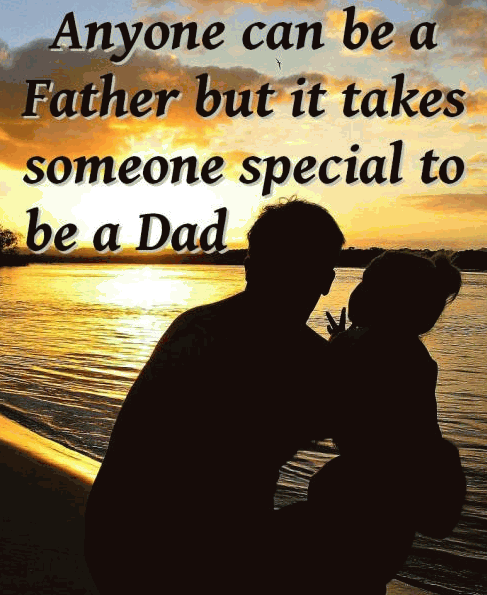 Anyone can be a father but it takes someone special to be a dad. 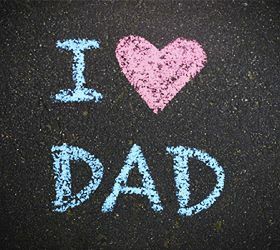 Fathers are the most selfless persons who sacrifice their whole life just for making our present and future comfortable. Children are the Shades of both mother and father, whether poor or rich every one had a wonderful creative life growing up with them. What makes you a man isnt the ability to conceive a child; its having the courage to raise one. The best fathers not only give us life- they teach us how to live. Fathers are the best role model of their children. Even a thousand advice and suggestions are not equal to imitating the father. Hence it is crucial that fathers behave in the best way possible to raise good children. It is not the biological aspect or the blood and flesh that make the father; it is the heart that makes the father. They have to give their unparallel and abundant love to their children which are their primary duty. As with mother, fathers are gifts offered by god to children, children tend to learn more from their father than from their school and George Herbert rightly says,” one father is more than a hundred school masters”. The guidance of fathers is essential for the child during childhood, adolescence and even after they have grown into an adult. Here are quotes on fathers which are a bundle of emotions. Read them and enjoy.